When the Food Safety Authority of Ireland recently discovered horse DNA in ground meat, some which made its way into Burger King sandwiches in the UK and then into Findus lasagne sold in the UK, the reaction by most consumers there and here was the same: gross. But not all Americans are grossed out by the idea of eating horse meat. In Oklahoma, two bills- one authored by Rep. (R) Skye McNeil (HB1999) and another authored by Sen. Mark Allen (SB375) have made their way onto the Legislative docket. If passed, they would make the sale of horse meat legal in the state of Oklahoma. In 2011, Congress lifted a five-year ban in selling horse meat for human consumption. 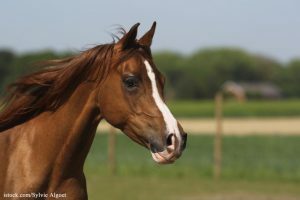 Companies that want to slaughter horses for human food in states where it is not banned have to apply for a federal grant of inspection, conduct a hazard analysis, and develop a Hazard Analysis & Critical Control Points (HACCP) before they can receive approval to do so, according to the US Department of Agriculture (USDA). In the UK, an investigation of how horse meat ended up in products that were supposed to be made of beef continues. ‘This is a very serious issue. The evidence we have about the two cases, of the significant amount of horse meat in burgers and lasagne, points to either gross negligence or deliberate contamination in the food chain. This is why we have already involved the police, both here and in Europe,” a February 8 statement by the Food Standards Agency reads. ‘We believe that these two particular cases – the frozen burgers from Tesco and the lasagne from Findus – are linked to suppliers in Ireland and France respectively. We are working closely with the authorities in these countries to get to the root of the problem. Our priority remains to protect UK consumers. People have been asking whether it is safe to eat any frozen meat products at the moment. There is no reason to suspect that there’s any health issue with frozen food in general, and we wouldn’t advise people to stop eating it,” the statement said.